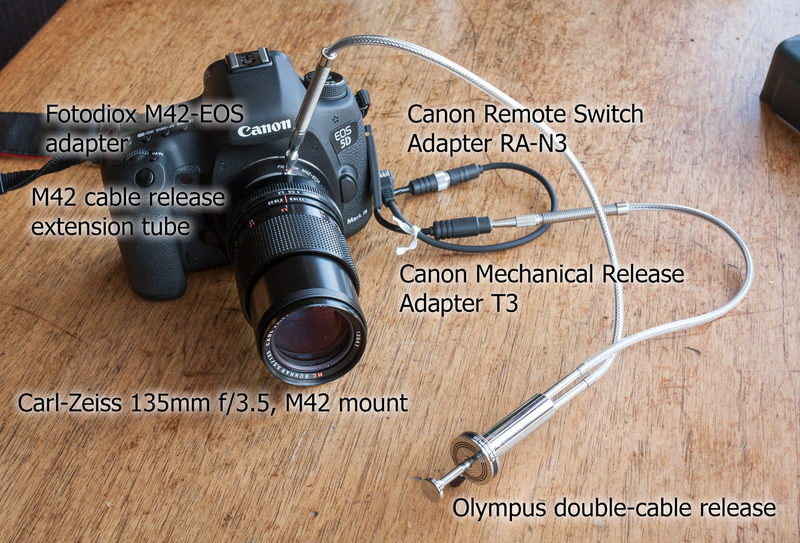 I thought I would do a little write-up on the equipment I’m shooting with for macro, since my rig is pretty unusual. I’m using a lens built for old Pentax M42-mount film cameras, along with a double cable release that allows the lens’ aperture to be closed down to my shooting aperture, and the camera’s shutter to be triggered, with one smooth motion. This is a nice lens for 35mm cameras, with a built-in hood. The version I tested was M42 (Pentax screw) mount. Please read the full review with sample images here. Posted on December 24, 2012 December 24, 2012 Categories UncategorizedLeave a comment on Hello, world!